In this SAP Personas tutorial, I will show basic information about how SAP Personas enables ABAP developers and flavor editors to customize SAP screens for a better user experience. Using SAP Screen Personas aka SAP Personas flavor or layout editors can provide simplified and customized screens for users focused to their specific needs excluding unnecessary and useless fields or even tabs from the SAP transaction screen. Before diving deep into the SAP Personas features, in this start up tutorial for SAP Personas beginners I want to necessary show transaction codes, mainapp service, and screen controls enabling layout editors to manage flavor changes on Basic View. In fact Personas has only a few transaction codes to manage, /persos/admin_ui administration transaction and spro customization transaction code. SAP Screen Personas Administration /persos/admin_ui transaction code is one of the few SAP Personas tcodes. User assignments, authorizations, defining default flavors, grouping users, translation, exporting and importing Personas flavors can be managed using this main transaction code /persos/admin_ui. 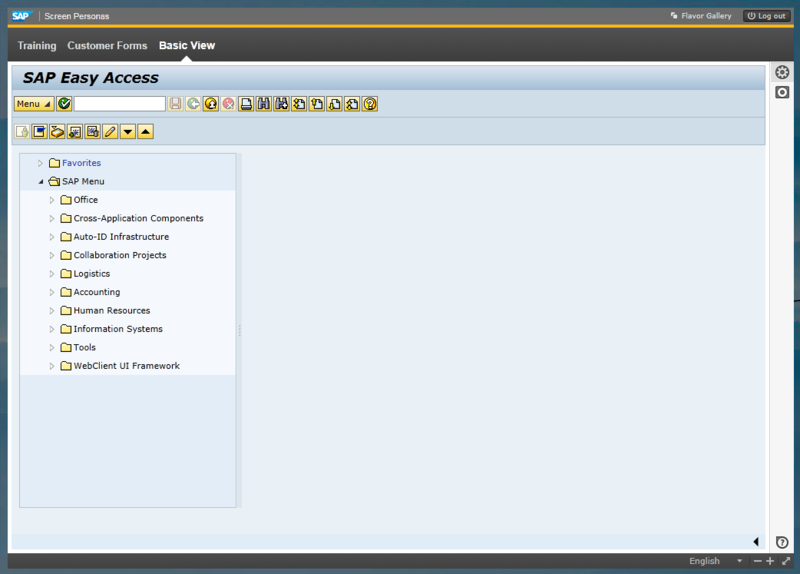 SAP Personas administrators can find more information on Administration Transaction at SAP Screen Personas portal. As seen in above SPRO screenshot, SAP Screen Personas related customization options enables the Personas administrator to maintain whitelist URL addresses, personas roles, define systems, and define control specific settings, etc. MainApp service is the service SAP users will call on browser to start SAP Screen Personas. 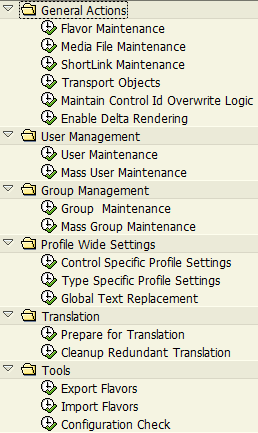 Before running Personas check if the service is active on the target SAP system. 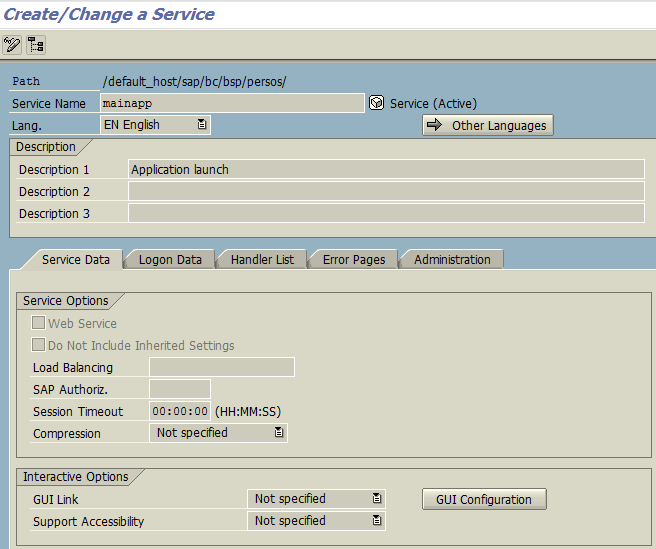 Call SAP SICF transaction (HTTP Service Hierarchy Maintenance) code. When you start testing Personas MainApp service, first users will be authenticated and pass through a few browser based approvals and enhancement options for enabling Silverlight features. 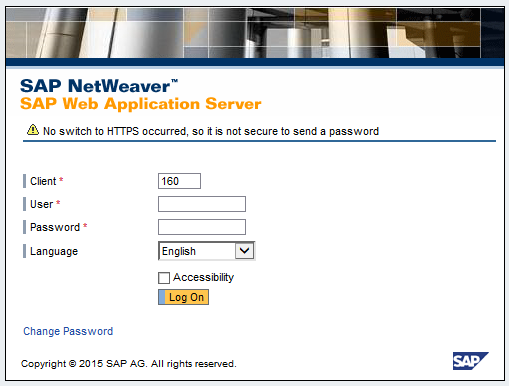 Provide SAP user credentials for SAP Netweaver Screen Personas application. Microsoft Silverlight plugin must be activated for Personas running domain. Also you might be requested to increase local storage size of your web browser to 50 MB. Approve storage size increase for a better experience. Here is the initial screen for SAP Screen Personas users. If there is a flavour set as default for the logged on user, the screen can be different than the Basic View for initial screen. As seen in below screenshot, there is a SAP Screen Personas menu bar on the top of the screen with Flavor Gallery, Log out icon. On the right there are two menu icons. 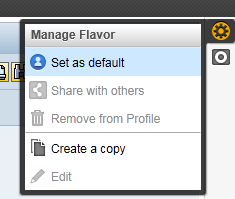 First one is Manage Flavor menu icon. Personas editors who manages new flavors can start creating a new flavor by first creating a copy of the default view (Basic View) and changing screen control properties on the new flavor. Second menu icon that can be seen on the right menu of Screen Personas is "Recording" button. 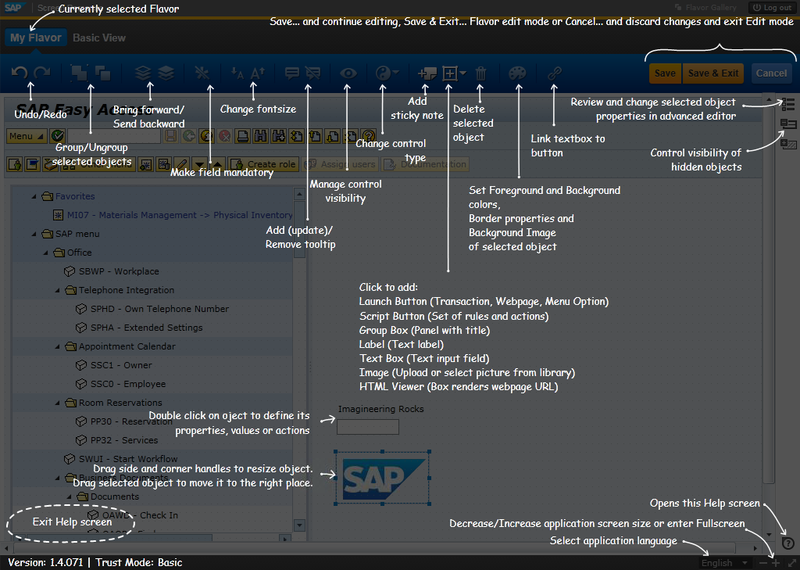 Flavor editors can use Recording button for capturing scripting options to simulate actions on the SAP screen and navigations between screens. Then captured scripts can be applied to a script button control and modified for desired results during the development of a flavor. By pressing Help icon at the bottom right corner of the SAP Personas screen, editors and administrators can find help information about the screen elements required for editing and managing SAP Screen Personas. After this basic SAP Personas tutorial for beginners, you can continue to next step to create a new flavor which you can use as your sandbox flavor. Please refer to the SAP Personas tutorial to create new flavor to continue with hands-on experience on SAP Screen Personas.